1987-1995 Jeep Wrangler YJ. Mounting Bracket: Aluminum Angle Adjustable Mounting. Combines hyper spot & flood pattern in a light bar for optimal light spread. 1x wiring harness kit with Rocker switch. Socket/Connector Type:H10 9145. -- Color: White 6000k. -- Led Type:16pcs 2525 LED Per Bulb. 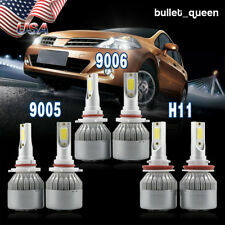 - 2 H10/9145 Led fog light bulbs. -- Power: 80W Per Bulb. - High performance LED, long lifespan, superior illumination & stability. 52" led light bar spot-flood (combo) beam,LED Power: 300W 30200lm;100pcs 3w high intensity LEDS. LED Power: 300W. 1 x wiring harness kit. Light Color:6000K Pure White;Certifications:CE,IP67 waterproof certification. Beam angle: 60C Flood 30C Spot beam Combo (24F/48S/24F). Net Weight: 6.15kg Beam Type: Flood and Spot Combo. 1 pcs 240W Led Light Bar. LED Power: 240W. Light Color: White. Special vehicle(fire engine,rescue vehicle,communication vehicle,military command vehicle) forklift, trains,boat,bus,and tanks etc. Power: 36W. LED: 12pcs 3W (CREE LED). Beam: 60° Flood beam. special vehicle(fire engine, police cars, rescue vehicle, communication vehicle, military command vehicle). Forklift, trains, bus, boat, tanks. Power: 300W. 1x 52" 300W dual row LED light bar. Beam Angle: 30 degree (spot beam) &60 degree (flood beam) combo. 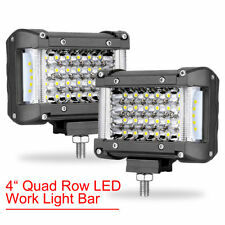 2x 4" 18W Dual Row Pods Cube Spot LED work lights. Streamline 312W dual row LED light bar. 【BETTER BESIGN】: Row design and smooth surface to reduce wind noise, 6D optical light cup, solve the problem of light separation, Improve light utilization, longer range, higher height. Power: 60W. Beam: SPOT beam. Color: Multi-color (RGB). 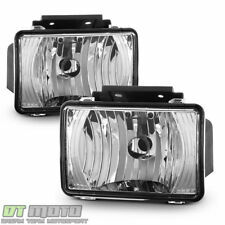 2 x LED Fog Light. Bulb Type: H8/H11. High power 5050 LED,constant current. LED Type: 5050 27SMD/Pc. You should receive item within 3-5 weeks. E-check will be held until cleared. With each of the harness so one can power up multiple apparatus off of a single on/off switch. 1 Pcs x 12V 2LEAD Wiring Harness (Switch included). -Up to 3m (10ft.). LED Gloves. turn on on/off button of switch to test the lights bar. Compatible Female Socket: 9005 9006 HB3 HB4 9012. Male Socket Connector. Pre-Wired Male socket. Easy plug and play installation. Plug-in Light Bulb Extension. Could be use to create extra light outlet. 18W LED light (6pcs 3), enhance the luminance in night. LED Power: 18W. 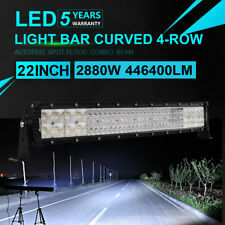 1 x Spot Light LED Car Work Light Bar. Beam Pattern: Spot. Waterproof: IP67. LED Quantity: 6pcs 3w. Housing color: Black. Beam Color: White. 12V Fog Light Reverse Lamp. Light Type: Halogen. Can be used on the two sides of the front or the rear of car. Fit for most car、motorcycle、van. Waterproof, dustproof and Shockproof, resist corrosion, Long Life Span. Interchange Part Number: 9006. 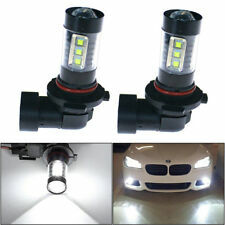 Application: Fog Driving Light. LED Type: 2-Luxeon-MZ High Power LED. LED Chip: high power LED chip. Note: Pls be attentive check whether our led size suit for your light housing. (Universal mounting bracket using (no driill, no modification required). 2pc led bracket （led light is not included). Material 304 stainless steel rubber. Material Type: 304 stainless steel rubber. Light Source: COB LED. 2pcs COB Led Lights DRL Kit. DRL Can be installed in the position of fog lamp. Once the parking light turned on, the DRL will work as a position/parking light. Each light are high quality white LEDs, which have a projected lifespan of 50,000 hours! 2×Spot Fog DRL Lamp. LED Type : The light has 4pc 3W high intensity LEDs. 2Pcs Dual Color 48"LED Light Strip Car Turn Signal Indicator Parking Lights DRL. Color : 6000K Xenon White. Pair Car Double Line Hood Black Stripes Graphics Decal Sticker 150CM Waterproof. 18W LED light (6pcs 3), enhance the luminance in night. LED Power: 18W. 1 x Spot Light LED Car Work Light Bar. Beam Pattern: Spot. Waterproof: IP67. LED Quantity: 6pcs 3w. If there is any delay,it maybe caused by bad weather or custom inspection. Lamp Type: COB DRL. Easy installation, easily stick on with self-adhesive tape. 100% waterproof, anti-dust, anti-collision, safe and durable. Portable 12V 8Hole 80W Car Heating Heater Iron Compact Heater Defroster Demister. 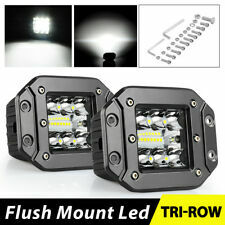 Universal 1 Pair LED Work Light Bar Side Mounting Bracket Heavy Duty Die-cast Aluminum. Material: Heavy duty die-cast aluminum. Feature 5: Necessary Mounting Hardware Included. Apply to most side mounted straight or curved LED light bars. 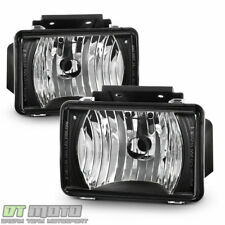 RH or LH Front Fog Lamp Assembly. GMC Canyon. Chevrolet Colorado. We have more than 15 years of OEM parts experience. Note If you are unsure if this is correct for your vehicle. 2004 - 2012. 2009 - 2012.